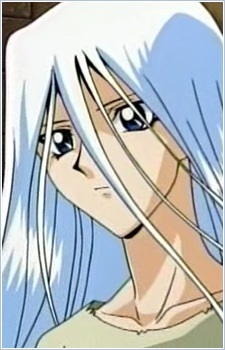 Kisara was a mysterious white-skinned foreigner girl who had the power of a white dragon sealed inside her. The only way the power could be released was if someone killed her. Kisara was saved by Priest Seth from a group of villagers who tried to kill her because they believed she was bad luck. When Priest Seth found out about the power inside Kisara, he refused to kill her out of his love for the girl. However, his father did it for him. When Seth almost got killed protecting her, Kisara's power was evoked and her soul transferred into the Blue-Eyes White Dragon.